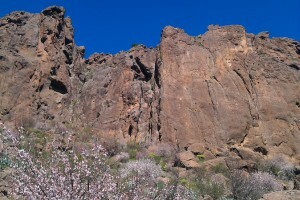 Multipitch and traditional climbing in Gran Canaria. 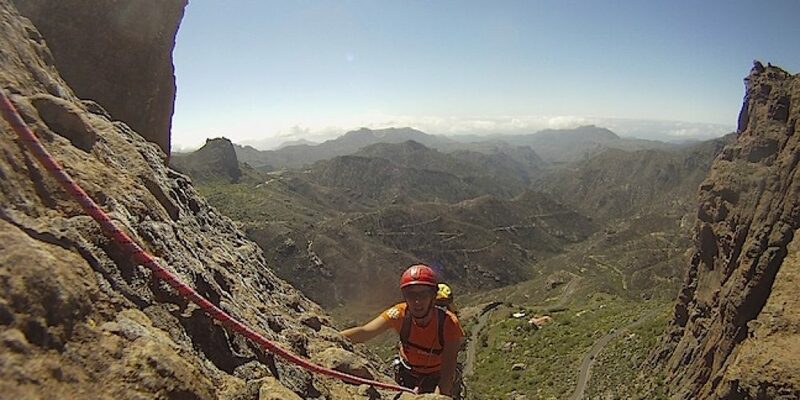 What most people don’t know is that Gran Canaria has a fair amount of beautiful traditional climbing routes. Maybe you have seen the sport climbing guidebook and thought that that is all the climbing the island has to offer, but no you can’t be more wrong, there are so much more to discover. 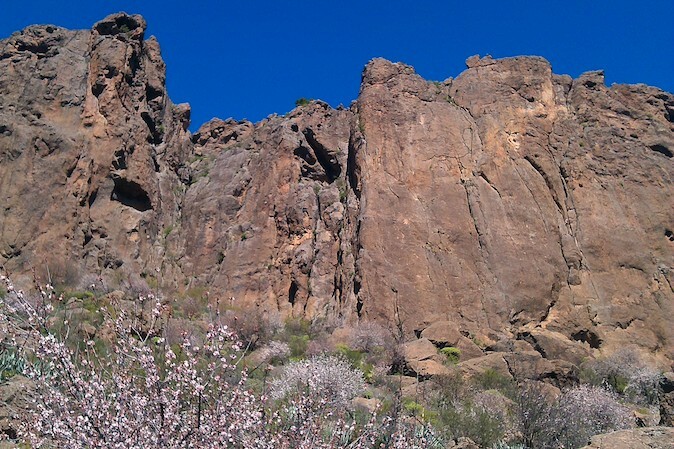 In the middle of the island between the villages Tejeda and San Bartolome you find a small place called Ayacata, here you will find a mecka of trad, sport and mix multiputch routes varying from 2 -5 pitches, most with great anchors/stands and rapells. 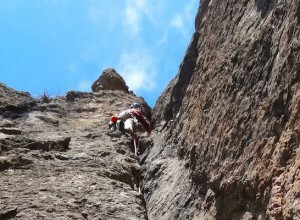 The most spectacular multipitch climb is on the basal monolit Roque Nublo. The routes are not of best quality but the view and scenery is breathtaking. 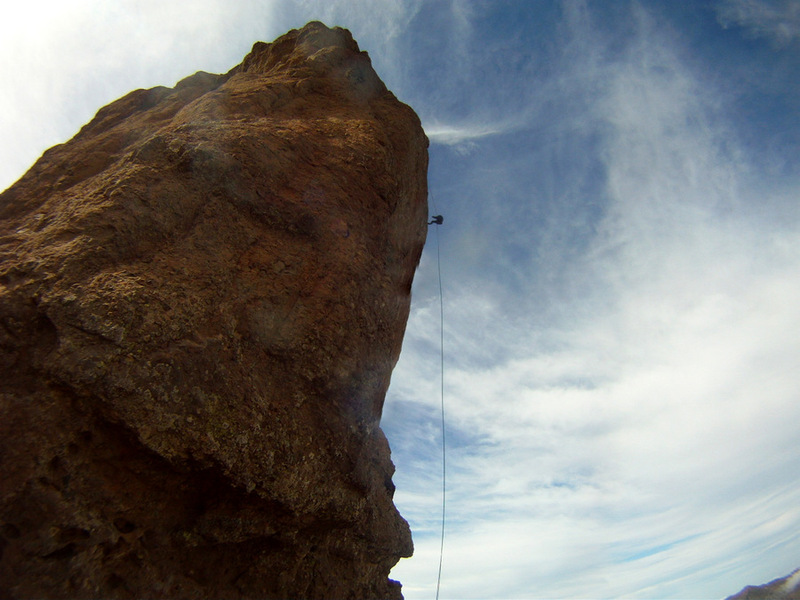 In the sportclimbing guidebook, you can find some of the routes of roque nublo described, but these are far from the best ones. For example, on the back side you will find a great but a bit challenging mix route offering dihedral and crack climbing about 6b-6c. 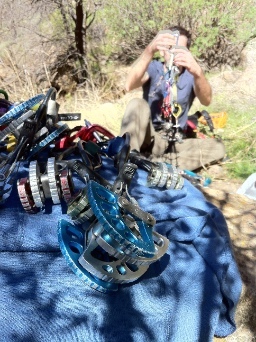 There is also a fully bolted 6b+ multipitch that reaches all the way to the top. Down in the wally around Ayacata you will find longer routes of better quality. There are several sectors and by driving through the area you will easily get an overview of the different sectors and lines. 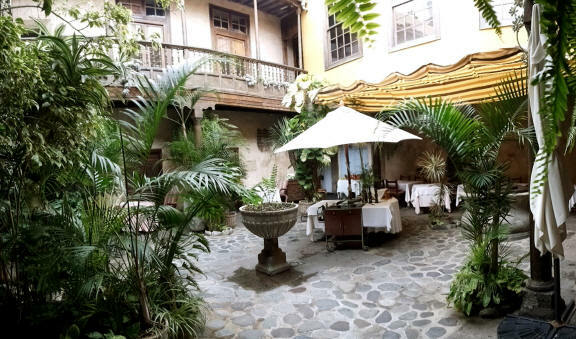 The first sector closest to the bar Casa Melo, is called La Librera and offers among other routes, a splendid traditional 4+ route with cracks and bolted anchors, a mix 5+ starting in a cave, and another 5+ fully bolted. Here you can easily climb and rappel with a 70 meter rope. A bit further away towards Tejeda you come upon the sector Fronton, here you will find great mix routes about 5 pitches ranging from 5+ to 6c. For these routes you need two 50-60 m ropes if you want to rappel down, otherwise you can use a 60-70 m rope and then just walk down. 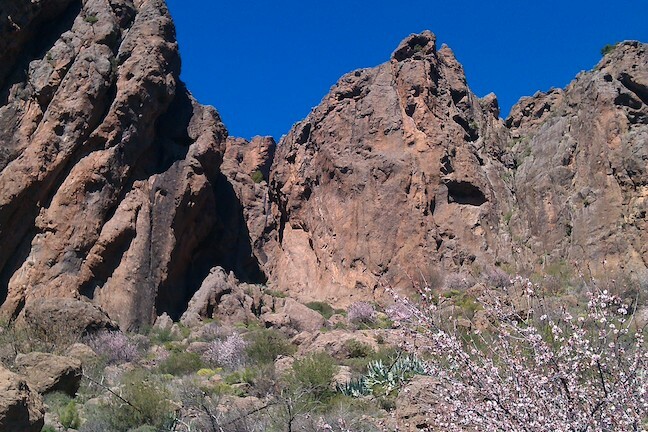 At the curve of the road, on the right side, you will see sector El Pino, here the rock has a lot of holes and funny structures. But be aware the routes in this sector are a bit more difficult and you might have to use your aid skills to get passed some of the cruxes.